Something from my sketchbook- the text in the picture says it all really. (If you can’t read it/my handwriting, it says: “Recently I was reading an article which described getting through psychological defenses as storming a castle or like peeling an onion. Here is how you storm an onion”). I debated adding some kind of siege engine, but didn’t have space really. 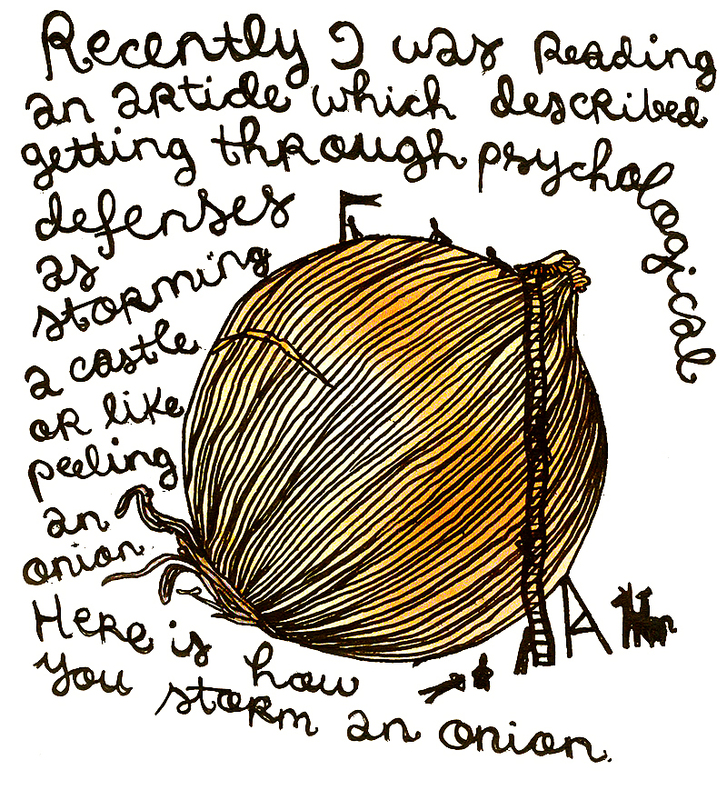 If you google “storming an onion” you only get one thing- people discussing how to understand an INFJ personality type on the Myers-Briggs system. That’s a pity, I wish there were more onion storming about. A catapult that flings hot butter and garlic. The onionites defend themselves by pouring scalding butter from the ramparts. They couldn't get hold of lead. To make it nastier, they use the popcorn “butter” from cinemas, not the real stuff. The assualt has repeatedly failed because the storming parties keep breaking down in tears.